If you are searching for The Best Online Courses of Python then this is the best place to select right course. The Python language is very easy to learn without any previous knowledge. By learning Python course you can design your own games and own applications. The Python is one of the flexible and powerful language. By using Python you can design high quantitative domains. This is more helpful for your career. If you learn about Python then you can also gain the knowledge about Python programming language, data structures, database etc. At present there are so many python online courses in the world. From all the courses, our Panel of experts picked some Best Python online courses and listed below. Charles severance will teach you about the Python and he is also Associate Professor in University of Michigan. He will teach you, how to design the programs with Python and how to analyze the data. By learning the Python you can develop the programs and you can analysis the program very easily. He is providing you five courses to learn about the Python. You will also gain the certificate after completing the course. In this course you will learn about fundamental programming concepts like Python programming language, data structures, database etc. the technology what you learn in Python will be used in Capstone project. In course one, you will learn all basic for Python and you will also learn how to write a program in computer by using Python. Instructor will teach you about advanced Python 3 programming. In course two, instructor will teach you the core data structure in Python and you will also learn how to use Python in build data structures like tuples, dictionaries, lists. You will learn how to access the web data by using Python in the third course. You can access the data and can also read the data by using the APIs. You will learn how to work with the data formats like JSON, HTML in the Python. In course four, they will teach you all basics for data based design for storing the data and also you will learn the basics of SQL (Structured Query Language). In course five, Charles will teach you by using Python how to build retrieving, visualizing data and processing. Pierian data international was founded by Jose Portilla. He Graduate his BS and MS in Mechanical Engineering from Santa Clara University. He is a professional trainer and he will teach about web programming and data science. He started teaching by Udemy and now he was trained 690k+ students. In this course you can learn about Python Bootcamp. By learning this course you can learn how to create your own games and application by using Python. To learn this course no need of any previous experience. In this course you will learn Python language and also Intermediate Python programs. He will provide you 19 articles, 19 coding exercises, 24 hours on demand videos and full lifetime access. In this course he will teach you about Python and also about advanced Python 2 and Python 3. He will also teach you how to install the Python 3 software and he also teach about object oriented programs. Instructor will also teach you difficult topics like decorators. You can easily understand the topics of Python objects and data structures like numbers, variable assignments, string slicing, lists, tuples, directories etc. By learning this course you can create Python games. The Python games are like Blackjack, Tic Tac Toe. 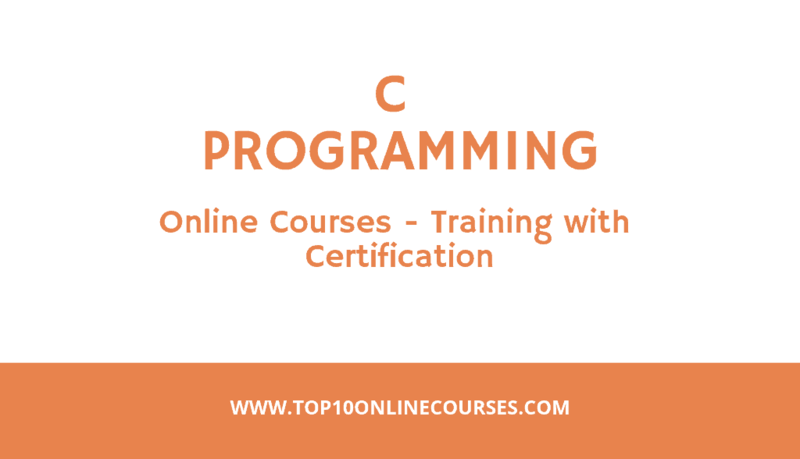 you will learn about the operators, conditional statements, modules, error handling etc. Jose will teach you how to use create .py files and also explain how to use Jupyter Notebook. You will learn how to design GUIs in Jupyter Notebook. You will learn about advanced Python features and also know how to work with timestamps. Simplilearn is one of the best website which will teach you about Python. They will teach you how to develop your Python language, web development, game development etc. by learning this course you will get more knowledge about Python and you will also become expert in Python programs. The simplilearn website will provide you contemplate three Python course and they will also teach you about Python Django within the course. If you have any doubt then you can ask them in any time. After completing the course you will receive the certificate with your name. By learning the Python course you can become the professional Python programmer and you can also develop games in Python. You will learn how to create the advanced web development and master Python Django by using Python language. In this course you can also learn about Python Django and you can also learn web development in Python. You will learn the error detection in Python language. You can learn how to create your own program and a flappy bird game clone by using Python. You can learn the functions, local variable, function parameters, global variables etc. No need of any experience to learn this course because they will teach you from starting onwards. You will learn about the loops, variables, statements like while loop, for loop, if else statement, if statement etc. You will also learn the about working with the classes and files, reading from a file, appending to a file, error handling, making modules, import syntax, dictionaries, tuples, lists etc. Edureka is one of the best websites which will teach you about Python course in online. 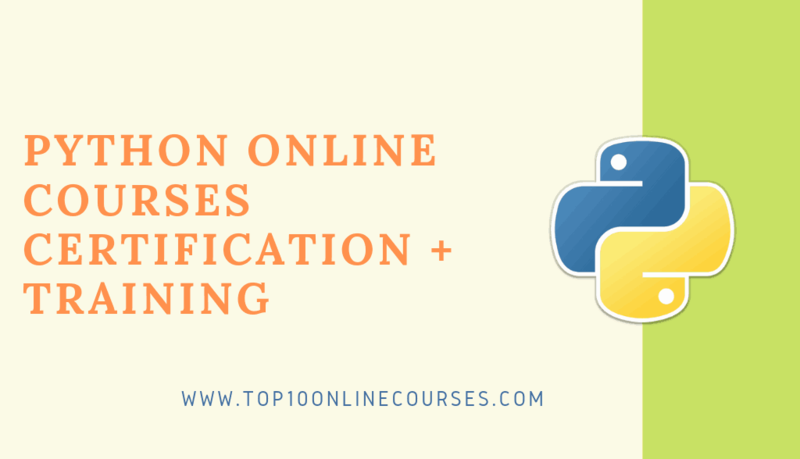 By learning this course you will also know about the concepts of master Python programmings like how to operate files and data in Python, object oriented concepts etc. This course includes full lifetime access and if you have any doubt then you can ask them in any time. So, the Instructors support is also superb in Edureka. After completing the course they will provide you certificate with your name. In this course you will learn about Python, versions of Python, loops, Python scripts etc. In this course you will understand that how to design the Python applications by using Pandas library, web maps. You will also learn about the Python libraries like Numpy, Pandas, Matplotlib etc. They will teach you basics and advanced concepts of Python and they will also give you information about Python scripts and web scraping. 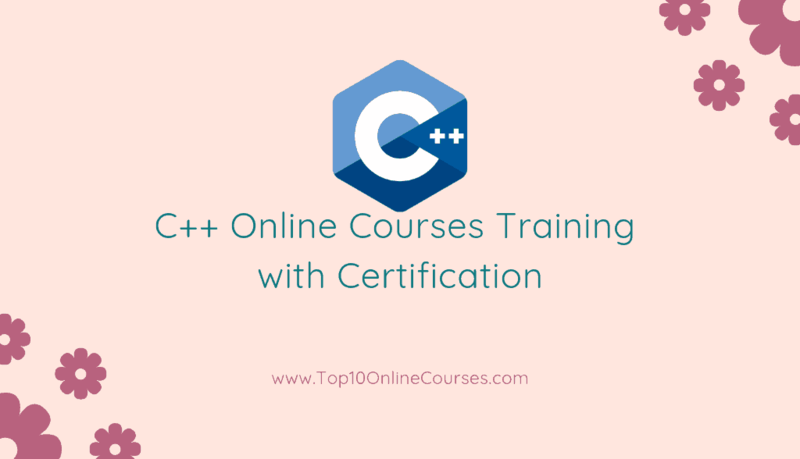 You will also learn about various Python concepts like loops, variables, conditional statements, data types, operators, string formatting, lists, tuples etc. The Python programming popular and flexible open source language and is easy to learn. You will also learn the GUI programming concepts like boolean widgets, selection widgets, string widgets, numeric widgets, colour and date picker, container widgets etc. After learning Python, you can also use Python in high quantitative domains and also in scientific computing. You can use Python language in web development, artificial intelligence, Devops and Robotics. Edureka is one of the famous websites which will you teach you about Python programming language. By learning the Python you can also know the information about data mining and quantitative analysis. In this course you can learn about data manipulation, unsupervised, matplotlib, time series, python libraries, pandas etc. in this course they will give you complete information about Python and they will also give good support to learn everything. Python is one of the flexible and powerful language. It is easy to learn and easy to use. In scientific computing the Python will be used. The physics, signal processing etc, this are the high quantitative domains and the Python is used for all this domains. They will give complete step by step guide to learn Python and you can also learn data science. You will get an idea of Python concepts like loops, variables, operators, functions, expressions etc. They will provide you assignments and several activity problems to gain practical knowledge and they will also teach the numbers, tuples, sets, directaries, strings, I?O functions etc. You will also learn advanced Python, unsupervised, matplotlib, time series, python libraries, pandas etc. you will also learn about modules, standard libraries, exception and error handling etc. You can also learn different application about Python and you can also discuss Python scripts on UNIX/ windows. They will also provide data structures and index operation for pandas and you will also learn how to draw pie graphs, bar graphs and histograms. The edureka will provide full lifetime access. Charles severance will teach you about programming computers by using Python and he is also an Associate Professor in University of Michigan. By using the Python he will teach you all the basics of programming the computer. He will also give you information about series of simple instructions in Python to build the programs. He will teach you about Python from scratch. If you learn everything in Python then Charles will teach you advance programming in Python. It will take seven weeks to learn about Python. He will also provide you videos to understand in better way. He will also provide you certificate after completing the course. In first week he will teach you the basics like what is python programming, why Python is needed etc. In second week you will learn how to install Python and how to write the code by using Python. In third week you will learn complete information about for what you must program by using Python. In fourth week charles will teach you variables and expressions of Python and you will learn how the Python program is uses the computer memory to retrieve, calculate and store the information. You will learn about conditional code and sequential code of Python in fifth week. In last week you will learn about the loops and iteration. The loops are important to build the programs with Python. Tim Buchalka and Jean Paul Roberts will teach you a complete Python masterclass. Tim Buchalka is expertise developer in Java, Python and Android and he was the founder of Tim Buchalka Learn Programming Academy. Jean Paul Roberts is a programmer and also a teacher. He is having 30 years experience on programmer and teaching and he trained 22k+ students. Tim Buchalka is having 35 years experience as a software developer and he trained 360k+ students. No need of any previous experience to learn this course because they will teach you about Python from starting onwards. You can practice Python in your PC. It is having 12 articles, 41 hours on demand videos, 12 downloadable resources and also having full lifetime access. They will teach you step by step instructions, how to start writing the program in Python. By this course you will understand the Python programming fundamentals. After learning the Python, you will get the best jobs which are related to your Python skills. You will learn how to setup the Python software in different operating systems like Mac os, windows, Linux. They will explain you in detail for what that step is using and how it will be work in Python. After completing the course you will become expert in Python programs and then you can write your own Python program. You will learn about the data structures and also learn how to access web by the Python programming. They will also teach you the advanced concepts of Python 2 and Python 3. .
Ziyad Yehia is an instructor in Udemy. He worked in international college in last few years. He will teach you about Python. In this course you will learn complete things about Python. By learning this course you can easily design Python programs and you can also do projects based on Python. Ziyad was trained 60k+ students. He will teach you how to write Python program by using conveniently store data and you will also learn who the numbers are working in Python programs. He will teach you how to design automate messages by using strings and also the master Python text. You will also learn how to build your own Python functions. It is providing full lifetime access, 3 downloadable videos, 3 articles and 9 hours on demand videos. He will teach you 11 easy steps to design Python projects and he will also teach you how to create functionality behind the scenes by using numbers. You will learn how to build custom Python functions for automate coding tasks. He will teach you how to create the customized and engaged user experience by using the strings. By this course you can develop your own Python programs by using the data structures and logics. Ziyad will teach you how to track the data in Python programs by using variables and you will learn how to use the loops to increase the productivity and efficiency. You will also learn about the conditional flow concepts like if statements, logical operators etc and data structure concepts like lists, tuples, dictionaries etc. Ardit Sulce is an expert in teaching the Python programming, GIS and data analysis. He received his Bachelor’s degree in Geodetic Engineering and he also received his master’s degree in Geospatial Technologies from the Institute of Geoinformatics of the University of Muenster, Germany. He is also the founder of Python How.com. He was trained 190k+ students. By learning Python course you will learn about data based, data science, image processing, web scraping etc. By learning this Python course you will become a Python programmer and you can also create your own Python3 applications. With Tkinter you can build the desktop applications and with folium you can build the interactive web maps by using Pythons. It is having 69 articles, 48 downloadable resource, full lifetime access and 23 hours on demand videos. He will teach you how to download data from various data services APIs by using Python. You will also learn the Python shell. In this course he will provide you some practice activities to improve your python skills on Python. He will also teach the basics of Python such as variables, functions, strings, math operators, list slicing and indexing, list methods, tuples, dictionaries, conditionals, custom functions etc. You can also learn how to build web applications, database applications by using Python. Ardit will teach you, how to interactive the data visualizations and data analysis with bokeh and pandas with the help of python. You will learn how to send the emails by using python with smtplib. You can also schedule the programs in the computer events by using Python. Colt Steele is an instructor in Udemy. He is good in teaching about Bootcamp and web developer. Now, he is teaching from Udemy since 2016. In web development he is also worked as a senior course developer. In this course he will teach you about modern Python 3 Bootcamp and he was trained 380k+ students. In Python he will teach you all coding fundamentals and also all latest features in Python 3. In this course he will teach you very clearly about object oriented programs. You will also learn how to build the games by using Python. He will teach you how to build master Python function. The Python functions are like filter and zip. It is having 3 downloadable videos, 121 articles, 28 hours on demand videos and also full lifetime access. He will teach you, how to create scraper and automated web crawler with the help of Python. You will learn how to create complex HTTP requests to API by using Python. You will also learn how to develop the test drive by using python and you will also learn that how to work with the Python data structures like tuples, dictionaries, functions, variables, strings etc. In this course you will also learn about polymorphism and multiple inheritance. This all are called as master tricky topics. Colt will teach you how to build large projects and also how to build multiple files. In this course you will learn how to create your own iterators and generators. Python programming language is the best and easy language to learn. Above we are showing some best Python online course. If you have interest to learn the Python programming then you can check all the courses and then you can select any best course which will be suitable for you. Everyone will provide you Certification with your name after completing the course. The Certification will be more useful for your career by adding it to your resume. By learning this course you will many job opportunities like data analyst, software engineer, research analyst, data scientist etc. If this article helpful , then please do share it with your friends and also in social media. If you have any Queries you can ask in comment box.